Marion Current receives International Health Award for 2005 by Canadian Physiotherapy Association. It is the award given annuallyto the persons in recognition of the significant contribution to the Association and the physiotherapy profession. International Health Award is based on the physiotherapy that values internationalism and those individuals involved in activities such as partnership in education and research that further profession internationally as well as those involved in the planning and delivery of physiotherapy services. 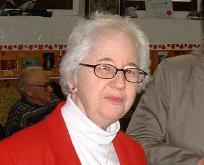 Marion Current is a Diaconal Minister who has been served in Korea as overseas personnel of the United Church for 37 years until she retired. Marion continues to serve through presbytery and conference in justice related works as well as helping local congregations. She is currently attending Alpha Korean United Church in Toronto South Presbytery and Dentonia Park United Church in Toronto Don Valley Presbytery and supports the ministry to actualize justice and mercy through the church.